Maurice Blackburn is preparing a case for the Alliance for Gambling Reform which could see the end of poker gambling machines. Licensed trade publication The Shout reports that the Melbourne law firm’s case will argue that the machines breach Australian consumer laws. Speaking to the ABC the firm’s Jacob Varghese said: "It's illegal to do things which are misleading and deceptive. 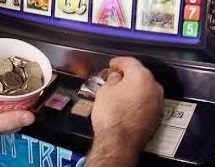 We think there's a genuine argument that some of the behaviour by the pokie designers is misleading and deceptive in that it makes people think things are happening that are not actually happening." The firm has not yet filed a case and has not confirmed that it will. Slater & Gordon’s fast-growing slice of the personal injury sector in the UK has a new rival with a disruptive business model. Barristers-Direct has been founded by two barristers who are aiming to cut solicitors out of the deal. Ian Skeate and Andrew Mckie are using the ability for clients to instruct barristers directly which was allowed following regulatory changes in the UK. Most PI cases are handled by a solicitor who then instructs barristers but Skeate told the Law Society Gazette that “the two professions are becoming increasingly merged.” Not that the pair is cutting solicitors out completely, having hired one of their own for their “complementary skills”. Herbert Smith Freehills has boosted the international capabilities of its capital markets practice with a senior hire in New York. Tom O’Neil will head up the securities team and will join the firm from King & Spalding in London; he was previously with Linklaters in London and Paris. The firm’s capital markets practice globally has more than 40 partners and around 200 lawyers. Human rights lawyers in Egypt say that new laws that allow prison administrators greater powers to use force will “legalise abuse” in the country’s jails. Among the amendments announced late on Sunday are the doubling of the maximum period of solitary confinement to 30 days. Prisoners who resists prison regulations can also be subjected to force by wardens; previously these powers were only used for those trying to escape or in self-defence. ABC News reports that there are some changes that lawyers have welcomed including greater provisions for in-mates to make phone calls and receive visitors.